Selecting candidates with a reduced predisposition to cause or to be part of accident and incidents represents the key to a safe organization. Assessing the safety related behaviors for blue collars (e.g. : operators, warehouse staff, drivers, etc.) for screening or selection. 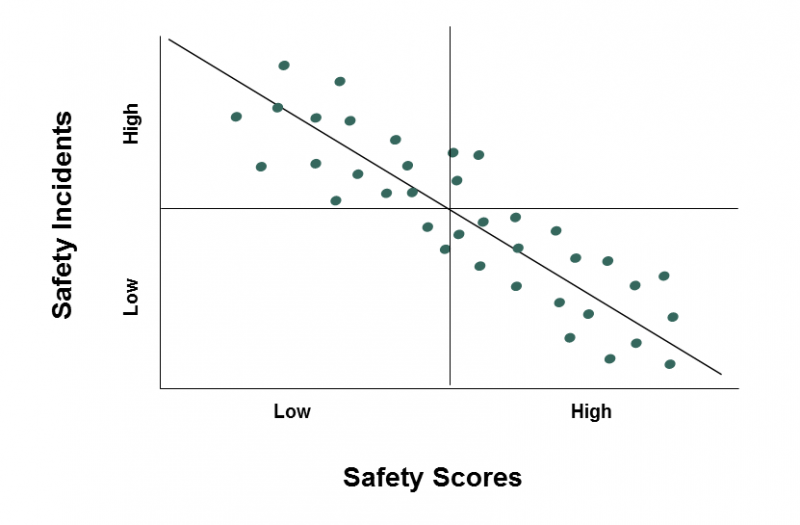 Identifying correlations between measured behaviors and safety related events in order to enhance prediction in selection or any other human related decision. 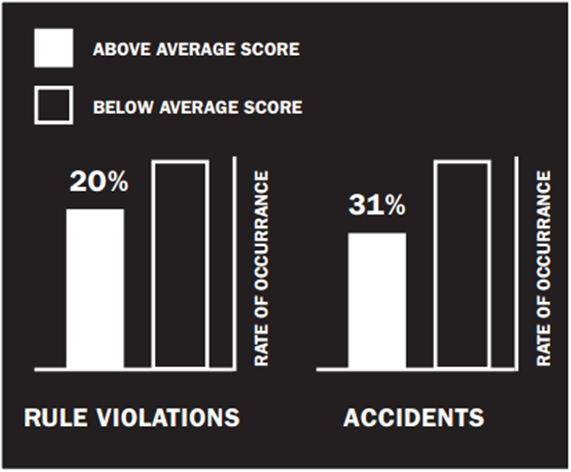 Based on safety research and Hogan Archive, the safety program was successful in reducing the number of accidents caused by human factors. Implementation of the Safety report represents actually a cost saving (easy to demonstrate ROI). Reducing the number of accidents and incidents. Section I: Defines the six components of safety-related behavior and then provides a graphic summary of the candidate’s assessment results across those six components. 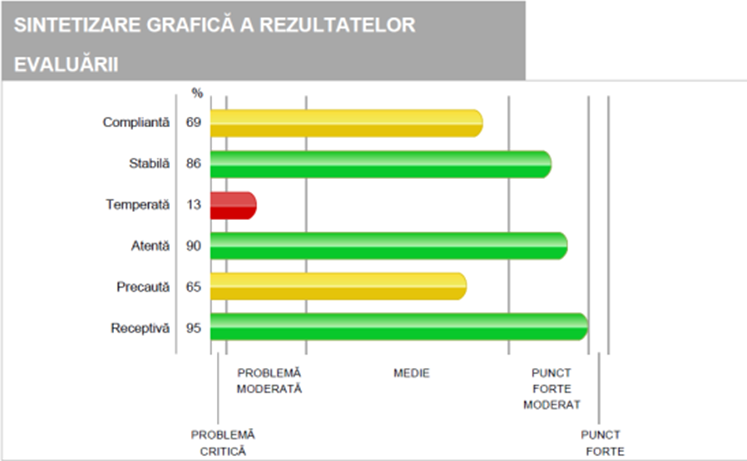 Section II: Provides an overall safety score for the candidate, based on the graphic summary from Section I. Section III (optional) : Presents the areas that need to be developed based on any scores in Section I that are noted as moderate or critical challenges. Section IV: Concerns the candidates’ overall desirability as an employee, which is defined in terms of three broad components of performance. 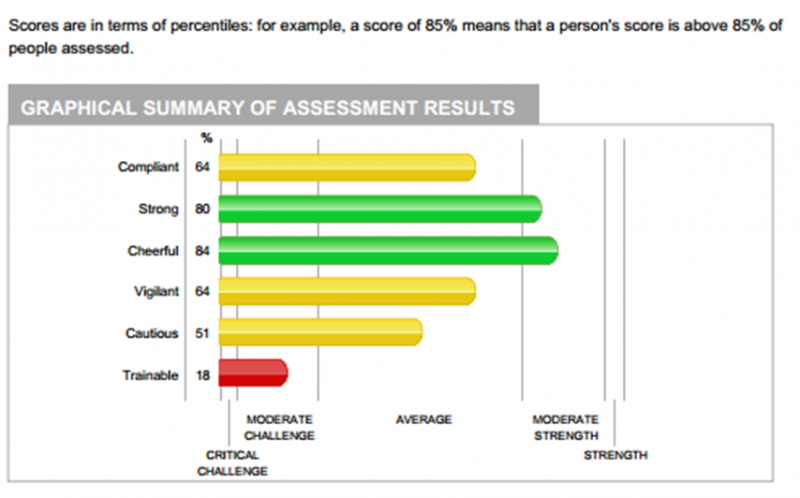 The report then provides a graphic summary of the candidate’s overall desirability. HART Consulting will help the client’s organization to gather data regarding safety violations in order to build an internal benchmark for future selections. Depending on the internal organizational data, HART could help to implement performance data regarding safety into the organization in order to demonstrate ROI. An interactive course where you deepen your knowledge and then put it into practice.